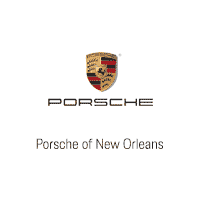 Ultimately, the best time to shop for a new car in Chalmette, LA, is when you need one. However, there are some times when you may be able to get a better price. For example, shopping during the weekday is usually a better idea than shopping on the weekend. Since fewer people will be there, you will get more help from a sales associate. Therefore, try to shop when the dealership is not as busy if it’s at all possible. Is It a Bad Idea to Buy Used? When some people are searching for a luxury coupe, they think it is a bad idea to buy a used vehicle. There are many reasons for this. However, the reality is that if you choose a used car, you are probably going to get a great vehicle at a lower price. Just make sure you see the vehicle history report, so you know what you are getting into, and you should be good to go. Do I Need a High Credit Score to Buy? While you may not need a perfect credit score to purchase a luxury coupe, it is in your best interest to improve your score as much as possible before you buy. When you have a higher credit score, you will get a much better rate on your auto loan, which can ultimately save you a lot of money. There are many ways to improve your credit score, so do that before you start the car shopping process if possible. If you have even more questions you need to ask, come to Ray Brandt Porsche and speak to one of our trusted sales representatives. We want to make sure you have all the answers you need to choose the best possible ride, whether that’s a luxury coupe or something else.